Here are some kids summer activities that I especially enjoy playing with my kids on beautiful sunny days. Check out my quick video below and learn how to make paper boats. Great and cheap activity for the pool, beach and in the puddles after rainy days. Travel back in time and experience the 1970s all over again! You and your kids will treasure this simple activity for years to come. A great way to teach children the value of money. Tips for a successful meaningful bake sale. Read my interview with John Lanza of The Money Mammals and learn more about how to teach children about money. 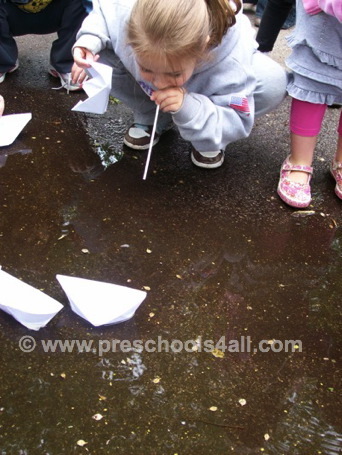 I loved paper boats as a child. When my uncle used to make them for me he always made it look so simple. Just fold it... one, two, three, and voila! 1. Moving the boats around by using straws. 2. Adding small toys along for the sail. 3. Coloring, painting and decorating the boats.